Each year the club runs regular competitions which are all judged by external judges culminating in the Video of The Year competition. 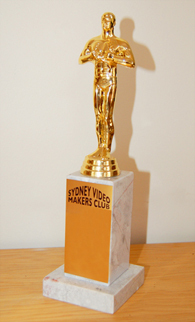 Video of the Year is also judged by experienced international film makers. Closing Date Theme / Category Max. Entirely open to you to decide. Get going if you haven't shot already!... Its open, so be creative or be practical, but any and everything is allowed! 1 week before 24th April Club Night. Up to 5 min horror film which does not have any spoken dialog. 1 week before 26th June Club Night. 1 week before 28th August Club Night. Based on footage which will be shared this competition will compare the different ways people edit the same footage, all of course based on the same script! Drama (in club competition) 10 mins. (Drama / Advertisement / Montage) 1 min. Inter-club open category entries 10 mins. Any questions on competitions should be directed to the Competition Manager.